I agree, and I actually made a prototype deagle a while back, but I never released it because I wanted to rework the model since it didn't look like a Deagle. I'll get to finishing that desert eagle soon. The original thread is too old, so she wasn't able to edit anything anymore. I just tried redownloading it, the better version is included now. Mind the double post, but I'm updating this thread to include future SWeps. 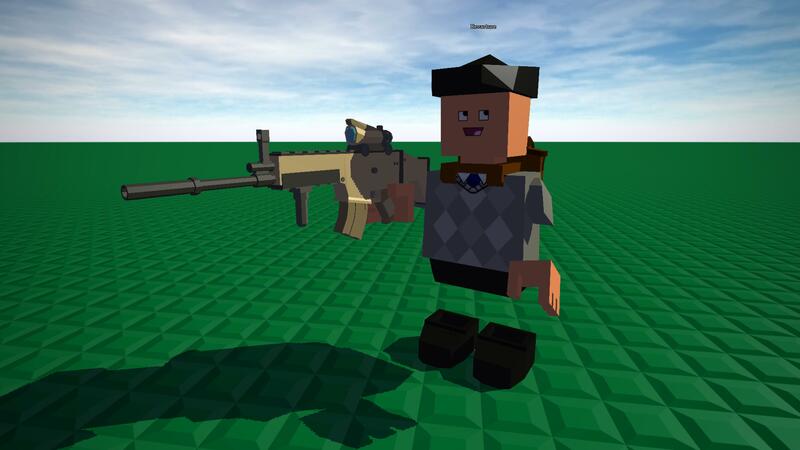 Check out the new weapon I just released. More coming soon. MORE SWEP WEAPONS. DOWNLOAD THE ENTIRE RTB ARCHIVE AND THROW EVERYTHING INTO SWEP! I have the SCAR-L from the tactical weapons pack from RTB in mind. It's almost done, I'm just modifying the model itself now. Check the download links, they're updated. Gallery / Re: What are you working on? I'm slowly progressing through my Zombie RP map, the terrain is finished with a friend's help, now that's left besides that is to work on the city and everything else. It's going to be ambitious, but I can manage it. I built so many versions before so I have the experience to build another Zombie RP map. Suggestions & Requests / Re: Brick Group Wand DL Link? I found an alternative, and the download still works for this one. I'd provide a download for the requested add-on, but I couldn't find it. Here you go lad, see if this one works. Suggestions & Requests / Re: Build Public Bricks DL Link? Okay, I solved the problem now by just adding in the radius search in Bot_Zombie and everything works as intended. Locking the thread, thanks for the help everyone.